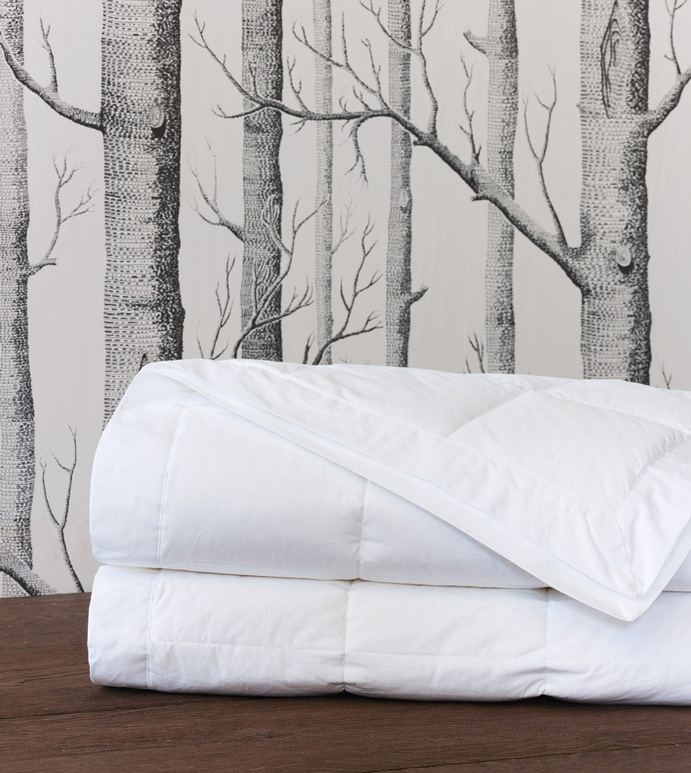 Create a luxurious bedding ensemble with the ultra-lightweight Antioch blanket. Crafted from 230 thread count cambric cotton with a hypoallergenic microfiber fill, this light blanket perfectly mimics the soft feel of down. Its airy weight makes it perfect as a bed-topper in warmer climates or layered with a coverlet during cold or changeable seasons.